We believe rights and democracy are won when people come together to make their voices heard, so we’re building a strong movement and the people power necessary to win justice and improve the policies that affect us and our communities. From making sure that every worker earns a livable wage, to securing access to quality healthcare and education for all, we are active in a broad range of issues that people in New Hampshire face every day. It’s evident that low-income and working families are not being represented by our elected officials. 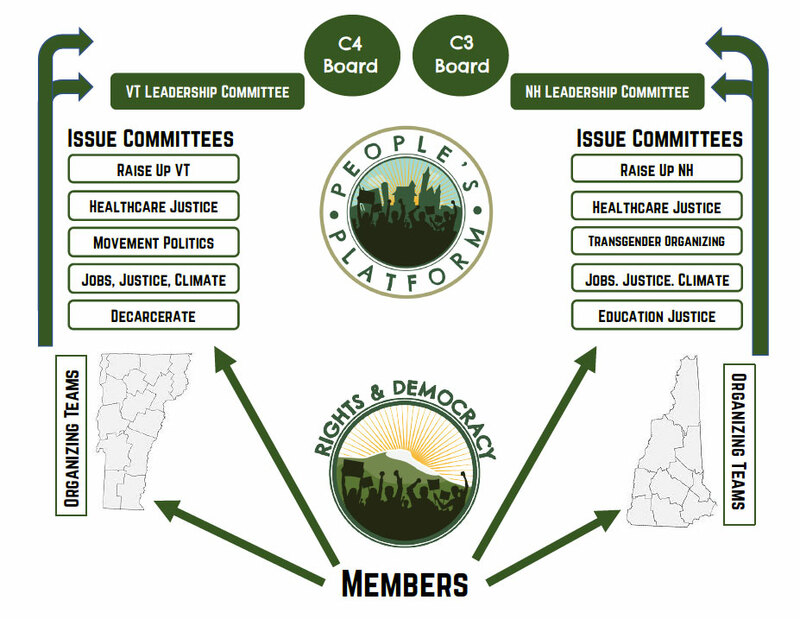 Rights & Democracy New Hampshire was formed to build a movement across the region to counter the influence of money in politics and to hold elected officials accountable to upholding our rights and the democracy we live in. Together, we create change through grassroots organizing, educating and mobilizing around the issues that affect our communities, recruiting and training candidates to run for office, and working through the political and electoral process to advance progressive policies that lead to happy, healthy, and just communities for everyone.